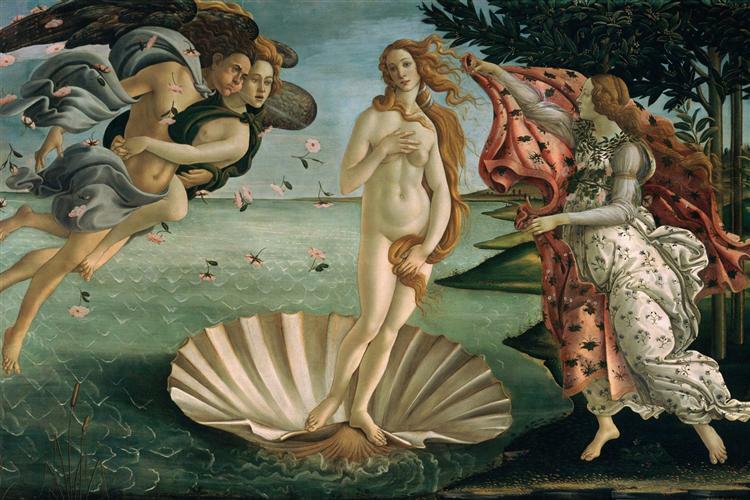 The Birth of Venus, one of the most recognized paintings by Botticelli, depicts Venus, the goddess of love, born out of a seashell, a fully mature woman. 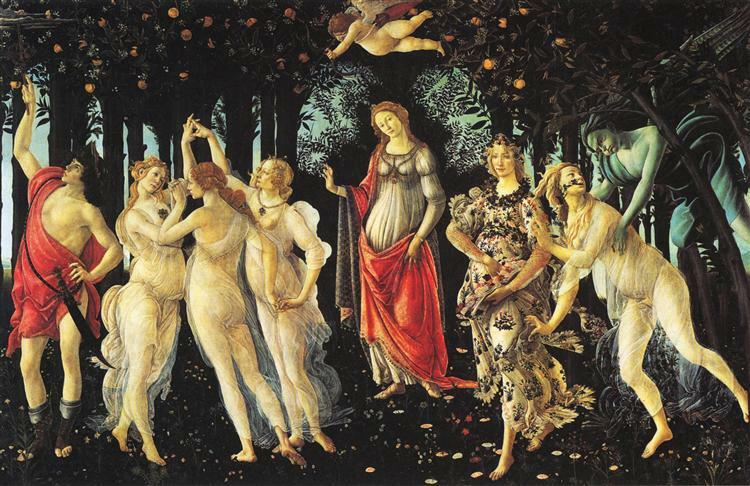 It is worthy to note that in classical times, the seashell was the symbol for the female genitalia, and as such, Botticelli was artfully referencing the goddess’s actual birth. 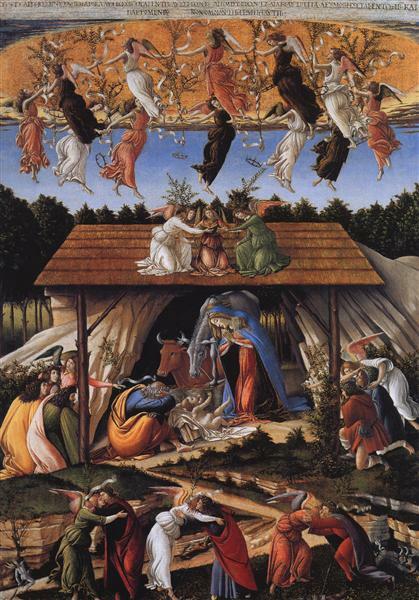 Although a mythical figure, there is no exact literary context depicting the scene painted by Botticelli, leading to much speculation. 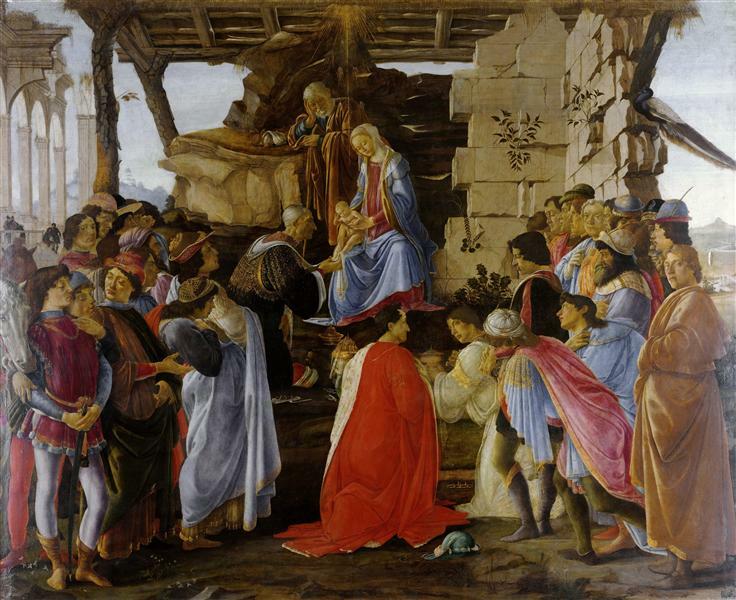 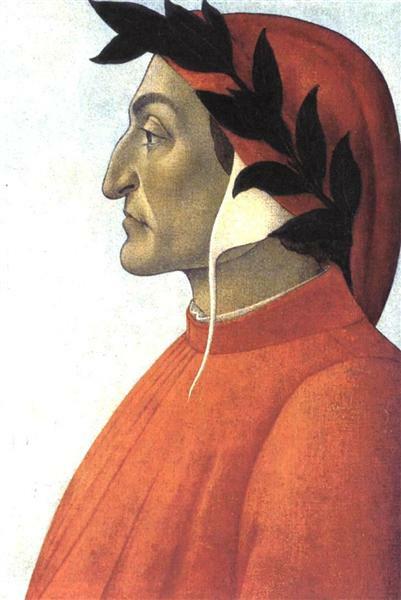 As to its commission, the painting was solicited by a member of the Medici family, which is thought wanted to have a reproduction of an earlier work by a different artist, which had been lost after the rule of Nero.